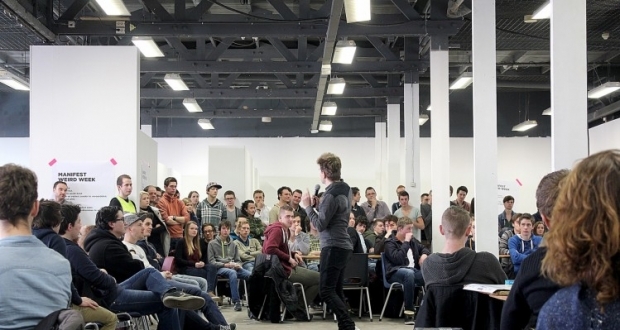 Together with you and the students of the Eindhoven University of Technology we want to shape the future. At the Eindhoven Symposium of Innovation “2040, Engineering the future” the focus is the future engineer. What does the engineer of the future engage in? Take this chance to prepare yourself and your future employees and get inspired by generation Z. This symposium is hosted by the study association Intermate which is part of the Innovation Sciences faculty. Students at Intermate follow the either a bachelor or a master (BSc Sustainable Innovation, BSc Psychology and Technology, MSc Human Technology interaction and MSc Innovation Sciences) with special interest into integrating technologies, people and society. Speeker of the day: Bennie Mols! Do you want to be inspired? 2040: Engineering the Future is pleased to announce Bennie Mols as our Closing speaker. His knowledge of Physics and Philosophy combined a broad interest in the future make for extremely inspiring speeches. He graduated university in physics and philosophy and holds a Ph.D. in physics. Currently, he is a science journalist and author in a broad field: physical sciences, mathematics, computer science, neuroscience, and technology. He says that his primary specialty is being an all-rounder. He has written more than four hundred articles for various magazines and newspapers, eight books, and has participated in more than two hundred radio programmes explaining science to a broad audience in the Netherlands. Due to unforeseen issues within the Lightyear team, they won’t be able to host a business case this Wednesday. Because of the limited time that is left for finding a replacement, we decided to host four business cases during the Symposium. These business cases will be hosted by HyTEPS, Ordina, Sogeti and ProRail. Happy to announce our fourth member of intelligence square: Bas Schleijpen! We are excited to announce Bas Schleijpen as our fourth panelist. Bas is an entrepreneur with a passion for game changing ideas and new technology. His goal is to enhance humans through technology, by making it as effective and user-friendly as possible. This is what he does as co-founder at Dutch Coding Company. They help businesses and organisations grow through awesome software. Next to his own business, he likes to empower other young people on their entrepreneurial journey as board member for Young Creators, a community for young makers and entrepreneurs with over 30,000 members. And yet another panel member! Happy to announce TU/e graduate Lieke van Son! “2040: Engineering the Future” is pleased to announce Lieke van Son as a member of intelligence square. Lieke graduated from the study Innovation Sciences in 2015 and is currently working at the Ministry of the Interior and Kingdom Relations. Her expertise is innovation policy for sustainable development. Curious to learn more about who she is and what she does? Visit http://symposium.intermate.nl/members-of-intelligence-square/lieke-van-son/ to find out more. 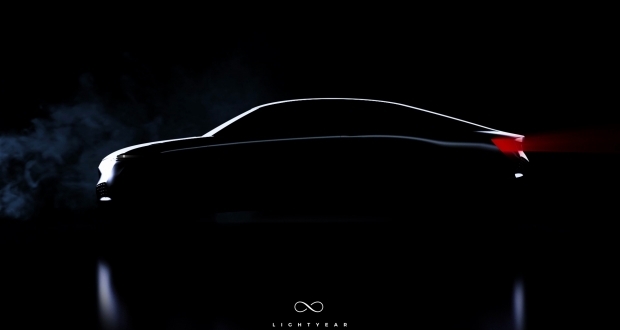 The electric car that charges itself is coming to “2040: Engineer the Future” and wants your help to make their dream come true! 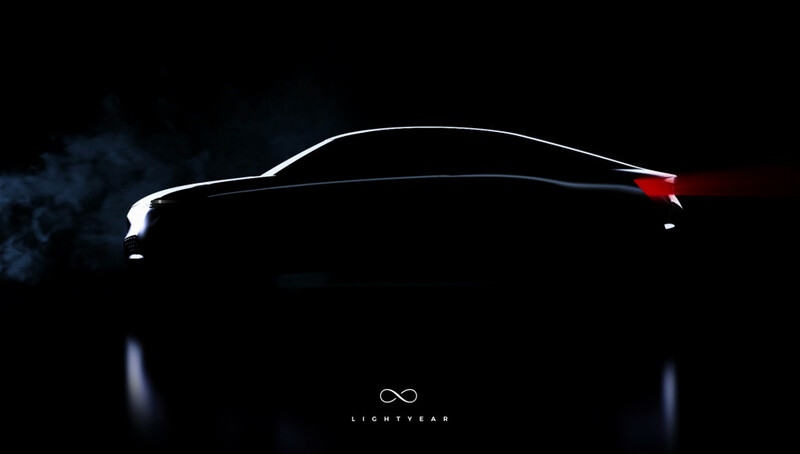 Read more about Lightyear at https://www.lightyear.one/ ! To participate go to the “buy ticket” tab and get a ticket. Stay tuned for more announcements! See you on the 25th of April! Proud to announce another member of intelligence square: Jorlan Peeters! “2040: Engineering the Future” is happy to announce its panel member from HyTEPS: Managing Director Jorlan Peeters! Jorlan is a pragmatic specialist who can match the needs of the market with technologically innovative advice and solutions. This is possible from his knowledge and insight through years of experience in the electrotechnical industry, in a wide range of market sectors but always with large capitals. Read more about Jorlan and his vision on the future here. 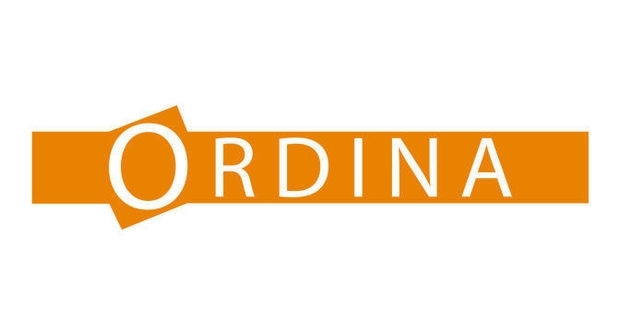 “2040: Engineering the future” will be partnering with Ordina! 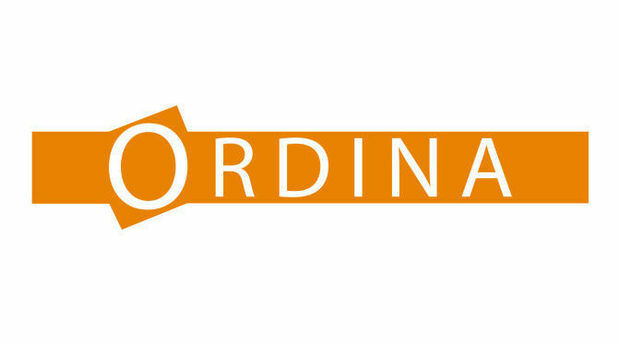 Ordina is the largest independent services provider in the field of consulting, solutions and IT in the Benelux. Their aim is to team up with clients to realise sustainable innovation, while keeping everything on a human scale. Interested how Ordina goes about working in fields like Big Data, Cloud Computing, ICT Talent Development and Social Media? Come by at the Symposium and visit Ordina’s Business Case! 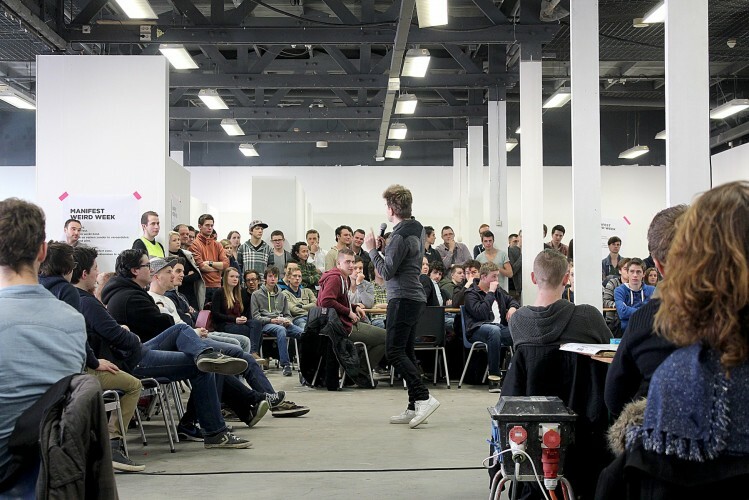 “2040: Engineering the Future” will be held at the inspiring Temporary Art Centre also known as TAC in Eindhoven. Only 5 minutes biking from the university, this space is exactly what participants need to think out-of-the-box and imagine the future engineer. A neat bonus is that lunch can be enjoyed in their cafe or courtyard. A great place to take a break from working on the business case and to connect with fellow participants and other attending companies. Proud to announce our very first member of intelligence square: Chris Snijders! “2040: Engineering the Future” is happy to announce its academic panel member: prof.dr. C.C.P. (Chris) Snijders! Professor Snijders is from the Human Technology Interaction department and lectures on a wide range of topics from Behavioral Research Method to Social Entrepreneurship. His expertise is in sociology, psychology and technology in combination with his unbelievable passion for statistical analysis always provide insightful conversation and an enlightening perspective. Curious to hear how Professor Snijders sees the future of engineering? Then buy your ticket and join in the conversation at the Intelligence Square! 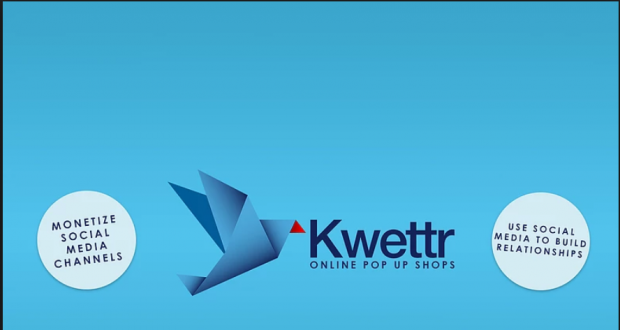 “2040: Engineering the Future” is proud to present one of our partners: Kwettr. You might have already seen their work with the discount coupon (engineeringthefuture/store). 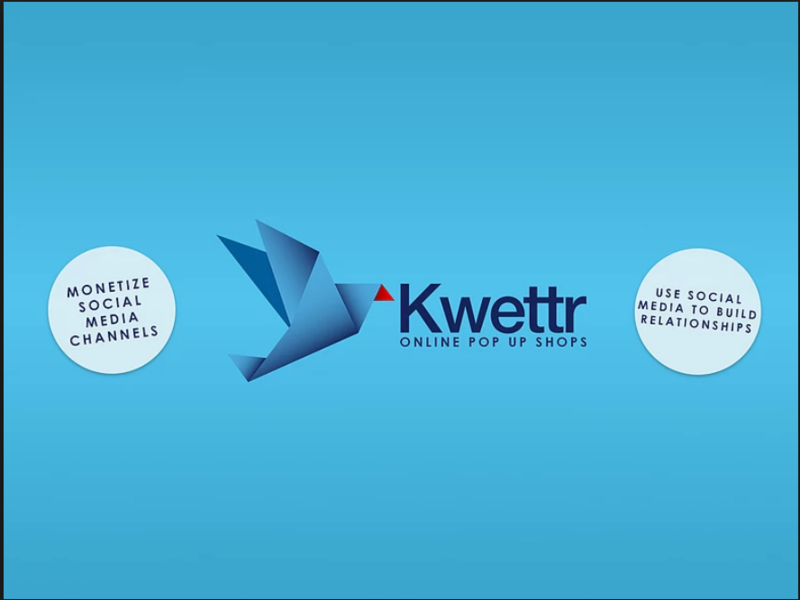 Kwettr is the company that has harnessed the power of social media and offers consumers to pay for events, music and much more with a “like” or a “tweet”. You can learn more about Kwettr at www.kwettr.com! Remember to buy tickets using discount coupon, your Facebook “like” is worth a euro discount. Please check out the rest of the website to learn more about the symposium! Are you part of engineering the future?